A group of Muslims, professedly incensed and enraged over the alleged desecration of the Quran, killed seven Christians in Gojra in Punjab. The allegation may not have been valid. It is possible that the victims and their killers had been involved in a local quarrel. It is also possible that the victims were targeted simply because they were non-Muslim. The following presentation is based on this latter premise. The killings have been widely condemned. Prime Minister Yousuf Raza Gilani and Punjab Chief Minister Shahbaz Sharif went to Gojra to condole with the victims’ families, and each announced an award of Rs100m as compensation to them. Mr Gilani also announced his government’s resolve to apprehend and prosecute the killers. This was a laudable response on his part, and we hope it does not turn out to be one of those promises that are lightly made and then forgotten. This was not the first incident of its kind in the country’s recent experience. Hindu, Christian and Ahmadi communities and neighbourhoods in Sindh and Punjab have been attacked, persons killed, homes and businesses plundered and places of worship destroyed. These deeds were barbaric and so were their doers. It takes a measure of intellectual sophistication and civility to value diversity and respect those who think differently from others. These attitudes of mind are cultivated in a democratic culture, which settles issues through discussion, debate and a process of give-and-take (compromise). This mode of arriving at decisions does not admit of absolutes. It requires admission of a degree of tentativeness in one’s own position, willingness to concede that the opponent has to be heard, for his argument may have some merit. Granting exceptions, it may be said that absolute firmness of belief in the validity of a set of propositions, and tolerance of those who do not subscribe to them, do not go together. Indeed, they are mutually exclusive. Intense believers in their professed faith have fought others in numerous times and places. Protestants and Catholics, and within the Protestant Church Anglicans and Presbyterians, persecuted, even killed, one another for more than 100 years in Ireland and Scotland respectively. The same kind of conflicts took place in France, Germany, Switzerland and Massachusetts. In India orthodox caste Hindus have traditionally humiliated certain lower caste groups as untouchables. They have also been persecuting their Muslim citizens. Islam enjoins tolerance of the non-believer. ‘Moderate’ Muslims are indeed tolerant of views other than their own. But there are, and have been, others who hold that those who disagree with them are not real Muslims, and that they deserve to be placed beyond the pale of Islam, if not eliminated. At the present time, the Taliban are the foremost of such groups. Where in the configuration described above do we place the frenzied Muslims in Gojra who killed some of its Christian residents? It is most likely that they were intellectually unsophisticated, at best semi-literate, basically uncouth and uncivil. Next, they were intense believers in the sanctity of their faith. The allegation that the Christians had desecrated the Quran may have been invalid but, if so, that fact was probably not known to most of them. They did, however, allow themselves to get into a rage without looking into the allegation. That may have happened because the accused were poor Christians. Muslims constitute nearly 97 per cent of this country’s population. The remaining three per cent consist of Christians, Hindus and a sprinkling of Sikhs and Zoroastrians. Certain individuals from among them became renowned for their attainments. Justice A.R. Cornelius, chief justice of Pakistan, was one of the most learned, profound and eloquent jurists that ever worked in Pakistan. 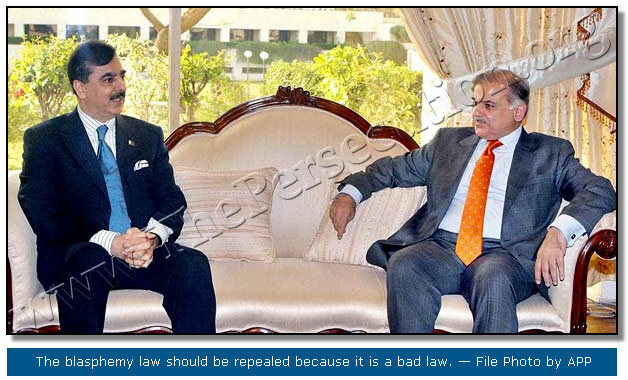 Justice Bhagwandas, a former judge of the Supreme Court, is another such luminary. Some of the more wealthy Zoroastrians have given large sums of money for the establishment and maintenance of educational institutions, hospitals and other charities. The minority people are loyal citizens of Pakistan as much as the Muslims may be. They pose no threat to its security and well-being. Nor do they pose a threat to the well-being of their neighbours. They are not numerous or strong enough even to influence public policy (as for instance the Jews are in America). Why would then any group of Muslims want to persecute, harass, terrorise or kill them? In most such cases they are accused of having committed blasphemy, such as insulting the Prophet (PBUH) or desecrating the Quran. The accusation is often unfounded. It is possible also that the alleged act, if it did happen, was accidental and unintended. The blasphemy law should be repealed because it is a bad law, but false accusations against minority persons will continue to be made, for the motivation behind them has nothing to do with the law’s susceptibility to abuse. One reason why minority groups are harassed may be that they are weak, and weakness invites aggression. They can easily be driven from their homes and whatever little land they may have, which their tormentors can then appropriate. If some of them have defied any of the tough guys in the area, they will be punished for their self-assertion. The greater likelihood is that their oppressors are acting simply from perversity, viciousness and meanness of spirit of which they happen to have more than their share. What is then to be done? I believe that governments and political leaders at all levels, particularly the Islamic parties, must do all they can to persuade the imams and khateebs in our mosques to tell their audiences that it is their Islamic duty to protect the non-Muslim minorities in this country.